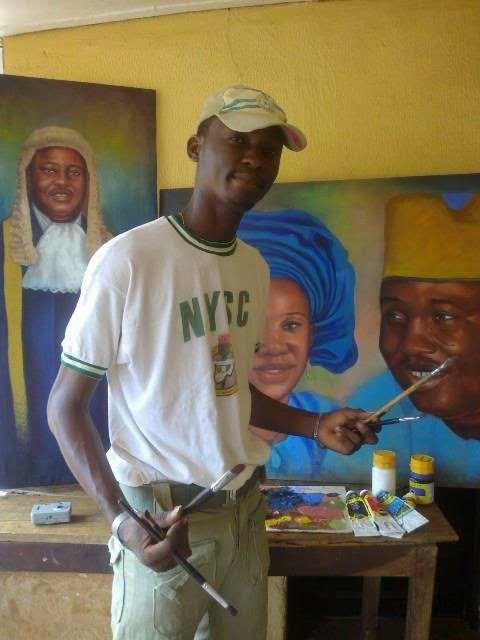 Am excited to showcase the artworks of contemporary nigerian artist: ayeola ayodeji awizzy. Nigeria produced spectacular bronze sculptures along with delicate, yet bold ivory sculptures during its most prolific times, roughly between the 15th to 18th centuries. 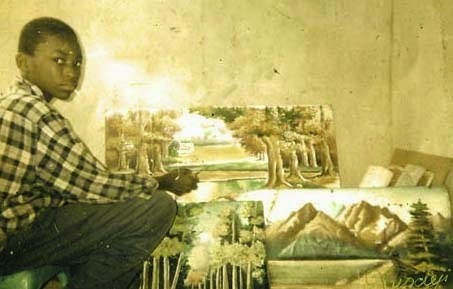 With thousands of years of artistic tradition behind them, today’s visual artists draw on these ancient traditions for inspiration, while expressing cultural and personal issues through various media in strikingly contemporary works of art. Very little purely abstract art is being produced, rather most pieces of work have recognizable subject matter. 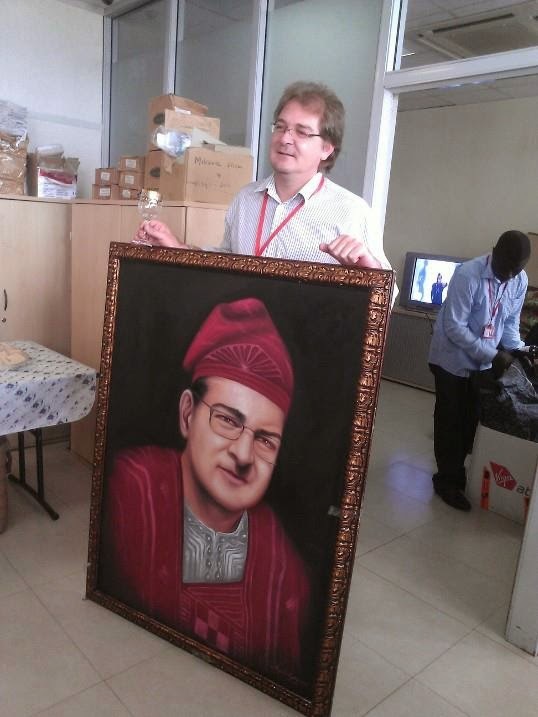 Perhaps it is because there really was no division between art and life for thousands of years in Nigeria and elsewhere in Africa, that this continues today. 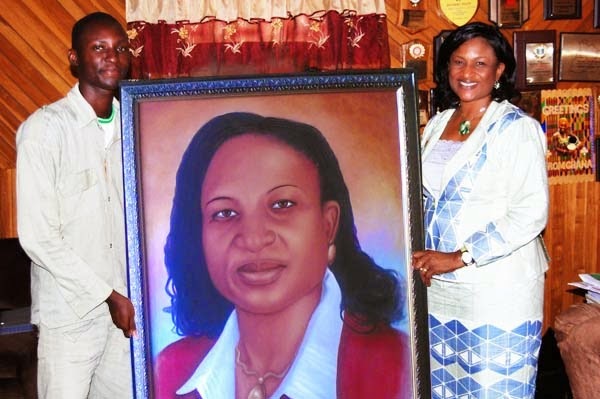 It is also difficult to make a statement about life and society with purely abstract art. 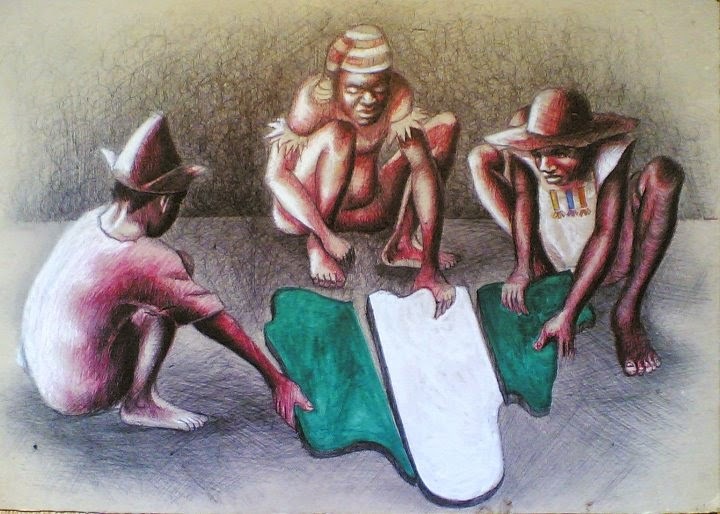 Modern Nigerian art is really not so much a matter of making a statement as it is expressing what the artist is living and experiencing. 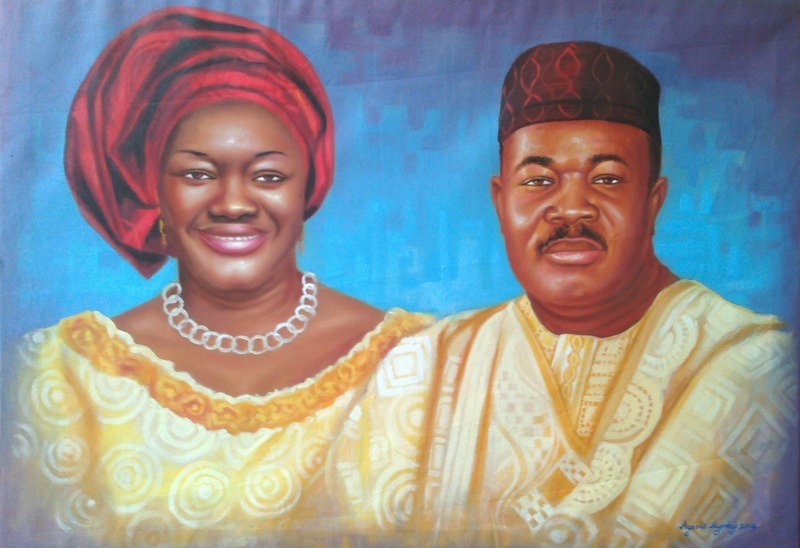 Frequently, contemporary Nigerian art has an organic flow to it, as though it comes straight from the soul of the artist rather than simply being a visual representation of reality. Flowing colors, intricate patterns and boldly striking hues all bring to mind the richness of tropical life. 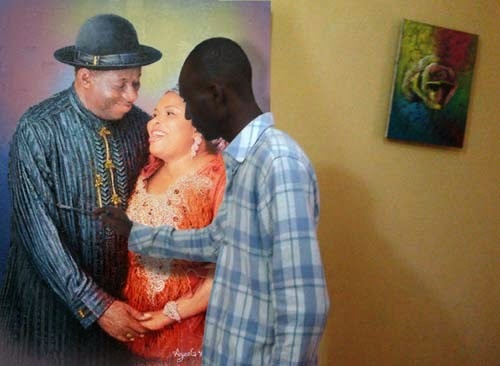 Even in the most painful expressions, a vibrancy of life is seen in the paintings. 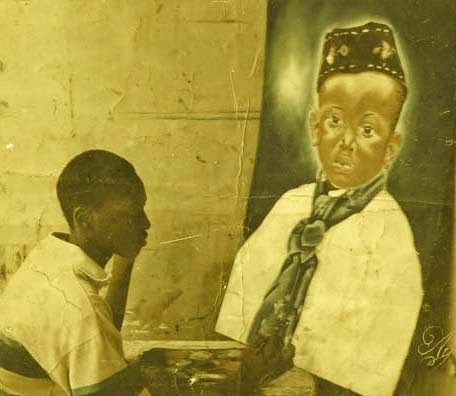 Ayeola Ayodeji Abiodun: One of the most reputable Nigerian Contemporary Artist of our time, the scope and depth of Ayeola Ayodeji’s Art interests are without precedent and his mind and personality seem to us superhuman that we agree to his rating as the Nigerian Best Painter of our time. 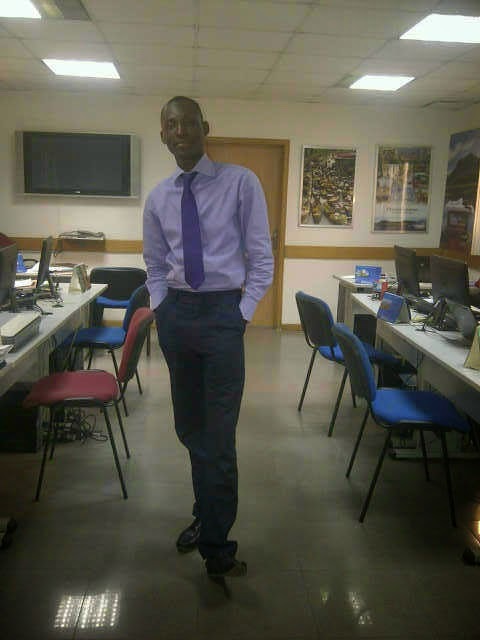 Ayeola Ayodeji Abiodun was born to the family of Ayeola on the first of April in the early 80’s. 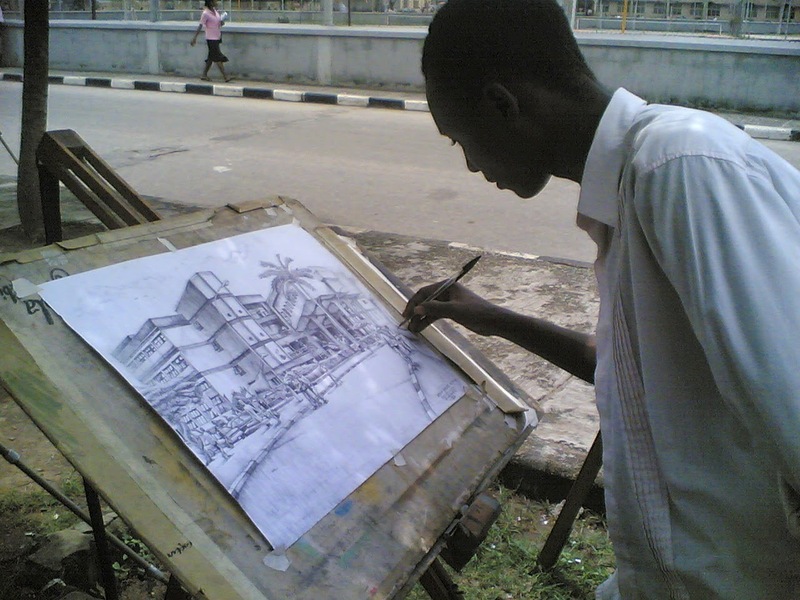 He discovered his talent early and started drawing and painting, sculpting etc. 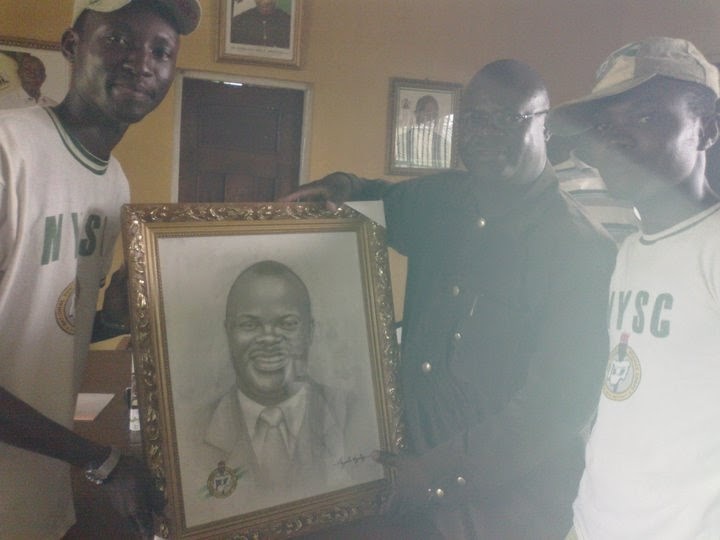 He had his Primary School Education in Estate Primary School and proceeded Ogba Grammar School for his Secondary School Education. He was so popular among his pears for Excellence in Drawing and painting that he became his Art Teachers choice. 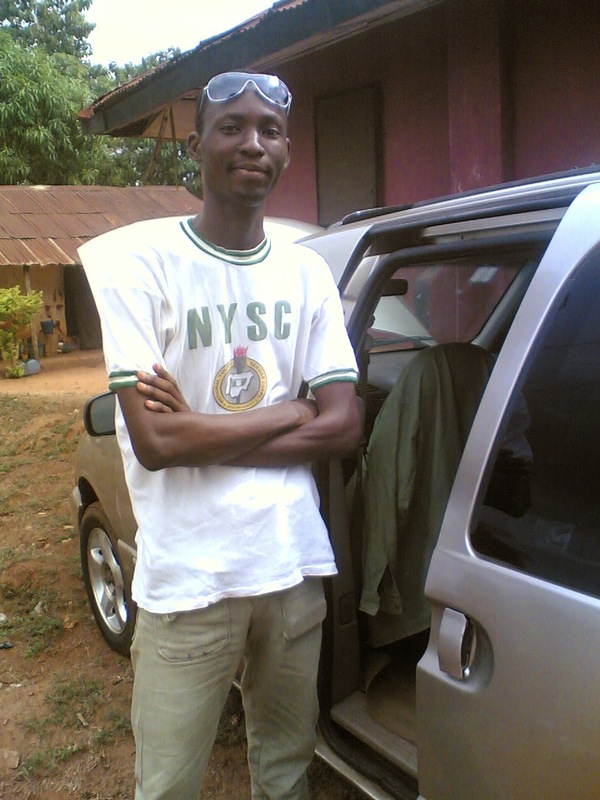 He represented his secondary in competitions and came out first. 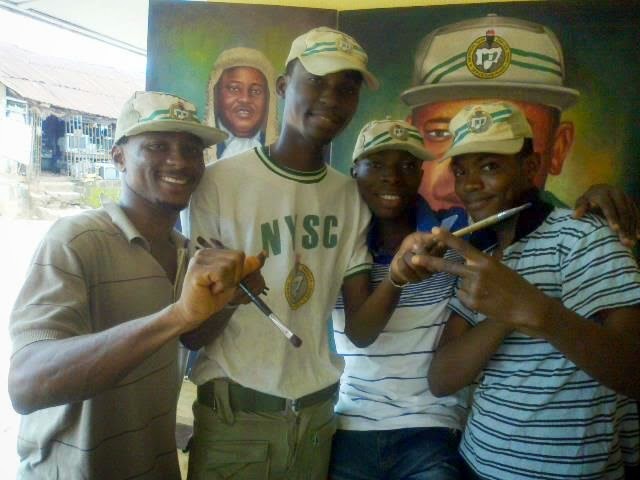 Ayeola Ayodeji represented the School then when Mirinda Came to the School to Showcase the good artworks of the school. 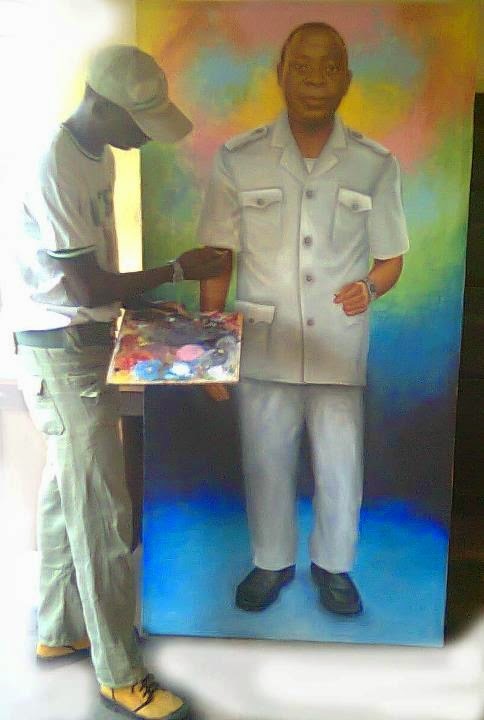 He was given special Art project during his Junior WAEC to paint the School Premises because of his special skills in painting. 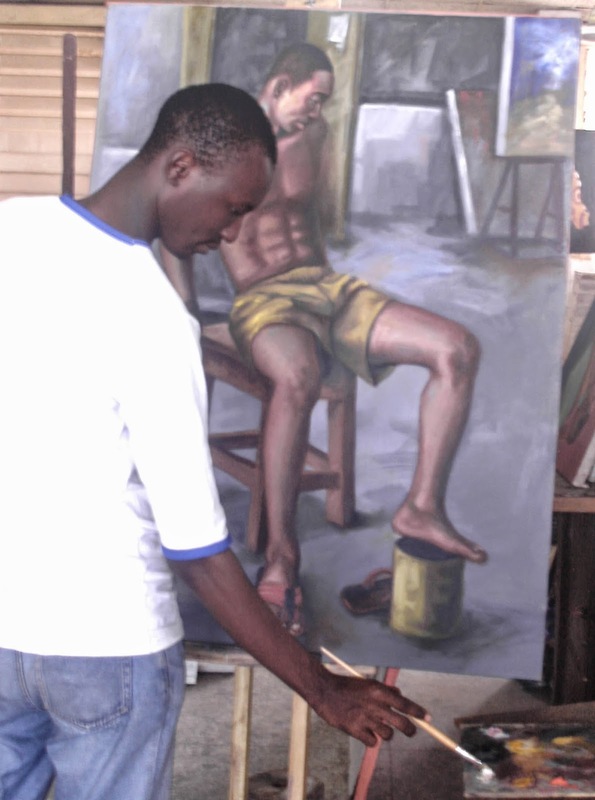 Ayeola Ayodeji gained admission to Yaba College of Technology to study Art, he graduated with upper Credit. 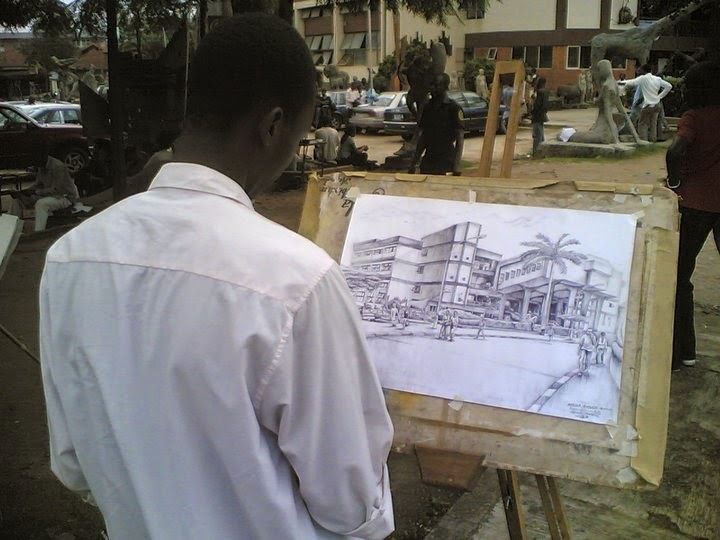 While in Yaba Tech: Out Door Drawing of Yusuf Grillo Building. 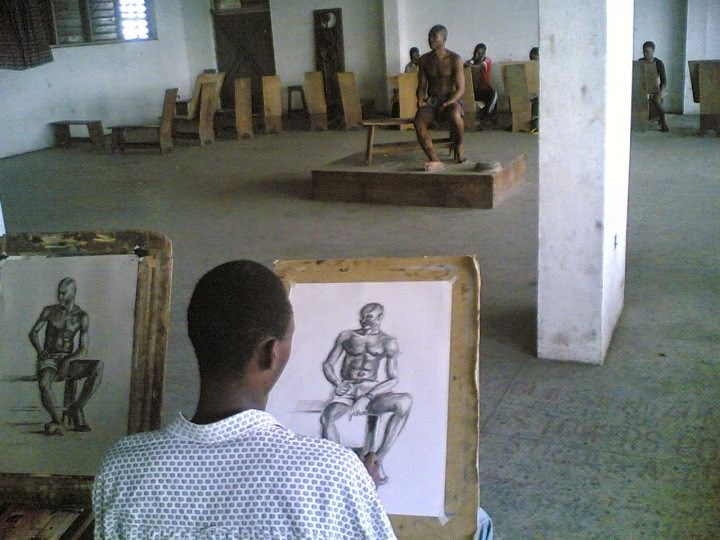 Ayeola Ayodeji Abiodun in Life Drawing Class. 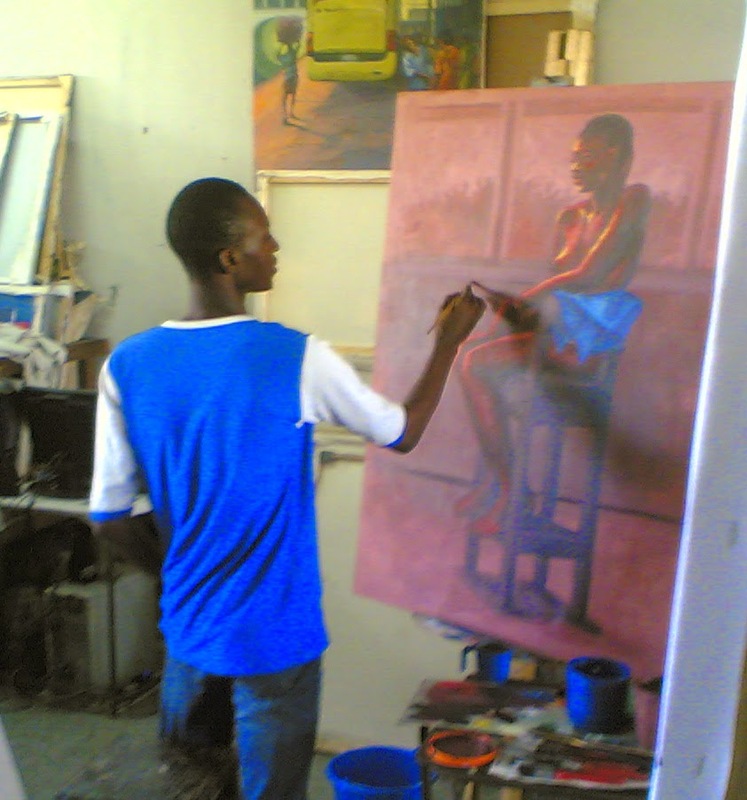 Ayeola Ayodeji Abiodun in Life Painting Class. 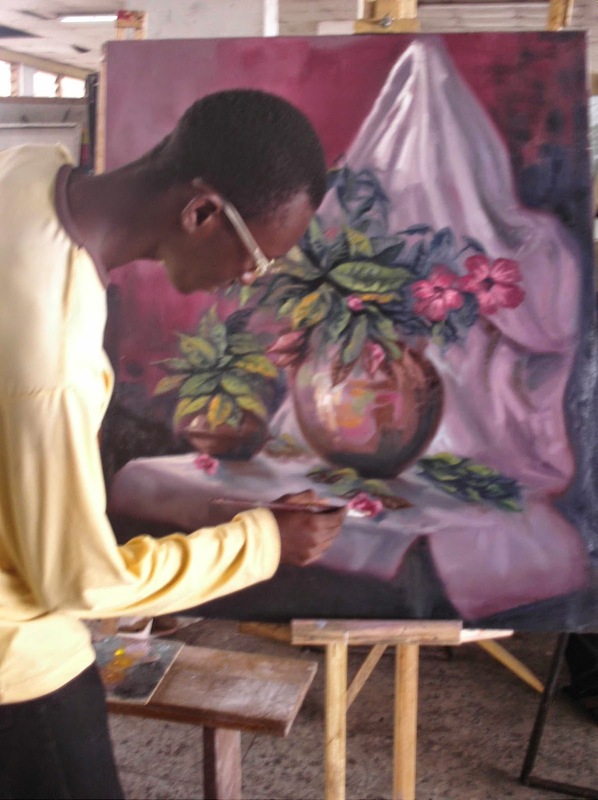 Ayeola Ayodeji Painting Still Life. 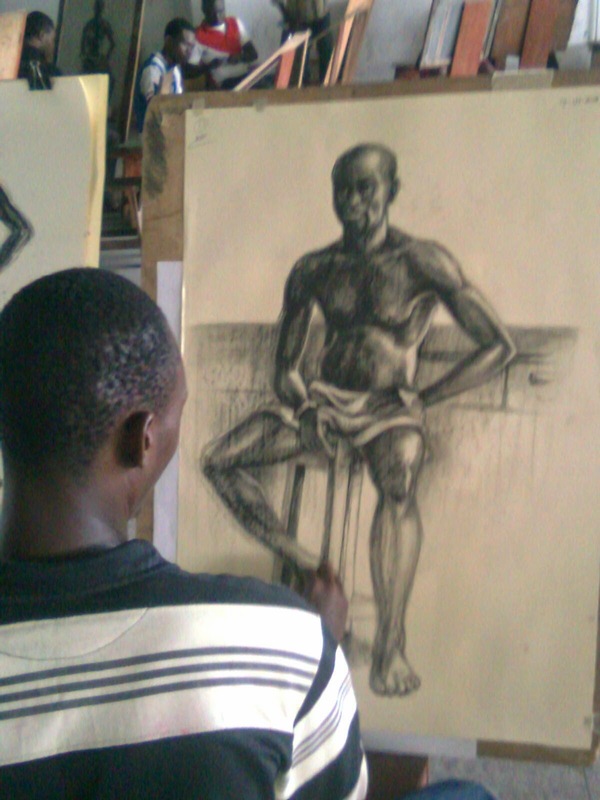 While in Yaba Tech: Ayeola Ayodeji Abiodun in Life Drawing Class. 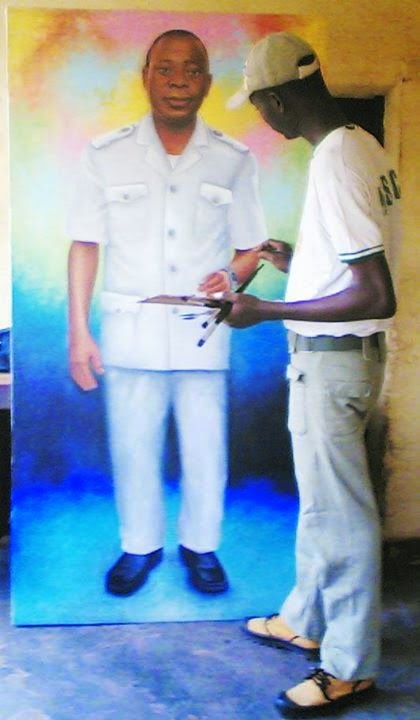 After his graduation from Yaba Colege of Technology he was posted to Edo State for his NYSC (National Youth Service Commission) he served in the Department of Painting under the School of Art and Design, Auchi Polytechnic Edo State. 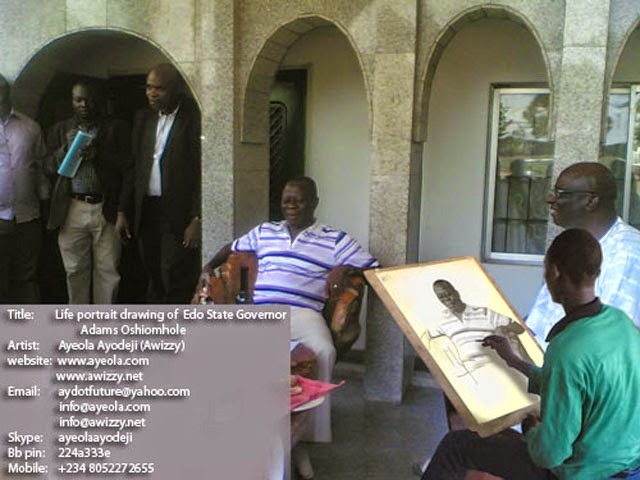 He meet and paint the Governor of Edo State, Speaker of Edo State (Zakawanu Garuba) and many other dignitaries of the State. 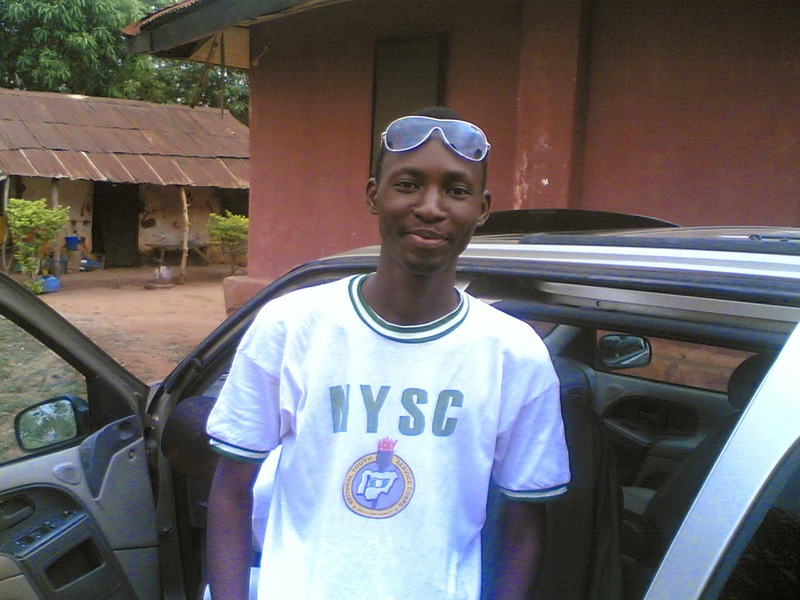 He later worked in Tour Brokers International after his NYSC and rose to the post of Head of ICT Department for both TBI and Emirates Holiday. 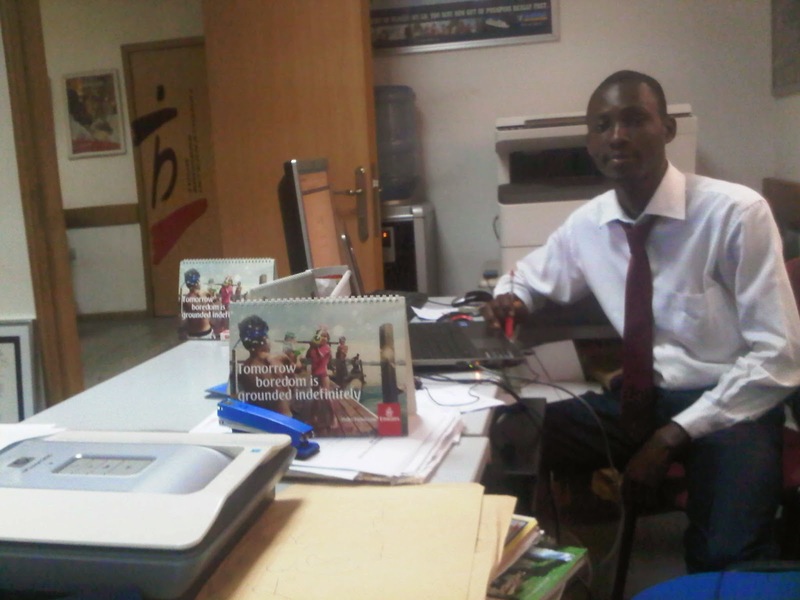 Picture of Ayeola Ayodeji Abiodun in Tour Brokers International. Thanks for sharing this great post with all of us. 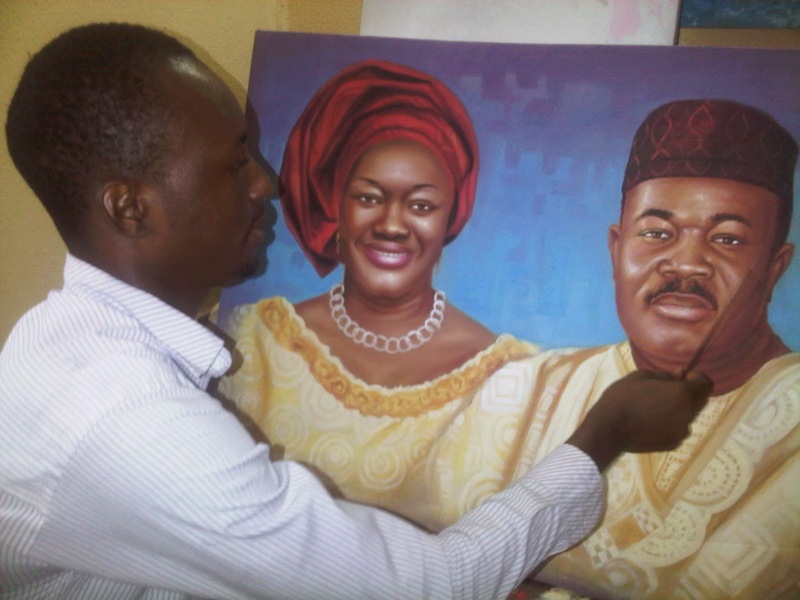 I just loved all the paintings this guy has created. You know I am also an artist and I make Aboriginal Art paintings! Everyone in my family appreciate me for great art work.